Further your non-profit education with these free webinars! This month, we’re bringing you 18 free webinars. Take this opportunity to browse through our list and ramp up your skill set by slotting some into your schedule. This month’s topics include: Your Membership Website, Creating Visual Content, Blogging, Volunteer Engagement, Proposal Writing, and many more. Check back every month for a fresh new list of topics to learn from. And don’t forget to share with your friends and colleagues! Is your current membership website outdated, difficult to maintain, and not user-friendly? Are you passing around your member records from one Board to the next? Can your members easily find you online? And how about on mobile devices? Your membership website can be the main tool for your member communication and member activities - if you have the right membership solution in place. 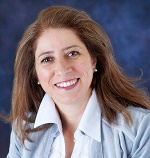 In this technical and informative webinar, Lamees Abourahma - from Webbright Services - explains a step-by-step process to building the ultimate functional membership website for your membership organization. How to engage with your current donors more effectively. This webinar covers the top 10 blogging best practices for NGOs and begins by discussing the importance of blogging as part of your social media and content strategy. Attendees will gain an understanding of good blog design as well as how to format blog posts to maximize their retweet and share rates on social media. Throughout the webinar more than 20 NGOs that excel at blogging will be featured. It's virtually impossible to fulfill your mission over the long haul without change. Key people come and go, the economy surges and lags, new ways to engage donors or members emerge seemingly every day, and the imperative to operate cost-effectively is ever-present. Envisioning, designing, and implementing successful change - the kind of change that positions organizations to achieve and sustain the necessary results - is critical. Change, in fact, is one of most studied phenomena in business, approached from an incredibly wide variety of disciplines and perspectives. Oft-cited statistics like "70% failure" aside, the fact that we continue to search for answers indicate that there are more losses than wins when it comes to change initiatives. Much of the focus is on leadership, but beyond buzzwords and inspirational quotes, there is little in the way of real guidance. In this webinar, Snowflake LLC suggests that real leadership isn't about exciting and inspiring, but about actively coaching throughout the entire change process, which in the first place requires that you know more about and pay more attention to your "followers" than to becoming the next charismatic management celebrity. Have you ever found yourself saying, how did that nonprofit do that on Twitter, or Facebook, or Instagram or Pinterest? How do they make those graphics, or reach that many people? Nimble and knowledgeable staff guided by sound strategy play a large part in social media success. But sometimes, the right tools can make a big difference. A good tool can shave minutes or even hours off your task, help you create professional graphics in a flash, and dive into data to reveal trends and better inform your social media strategy. In this nonprofit webinar you’ll find 30 apps, tools and resources that nonprofits actually use to make managing social media easier, faster, smarter….better. All of them are free or quite reasonable in price. These are the tools that my webinar attendees have said were their favorites. They soon may become your favorites, too. The Internet changed the world in the mid 90's and social media is changing it again in the new decade. Today's social media platforms (from LinkedIn, to Facebook, Twitter, and the blogosphere), offer extraordinary capabilities and unique opportunities which can bring about significant business and personal benefits. However, many organizations and users are not realizing these benefits, either a) getting caught up in the social media "chatter" and spending too much time in these platforms with little or no returns, b) not fully leveraging the capabilities of these platforms, or c) writing them off all together as irrelevant or unimportant — the place where people post what they had for lunch. Whatever our view is on social media, the reality is that 100s of millions of users are engaged in these platforms, and this large user-base includes many of our customers, donors, employees, partners, colleagues, friends, and family members. It is imperative then that we better understand these platforms, become skilled at using them, and learn how to fully leverage them. In this session, we explore their capabilities, and discuss ways in which we can use them strategically and purposefully, to achieve significant business and personal results. If you are new to social media, this session will provide you with everything you need to get started including demonstrations of each of the platforms. If you are already using these platforms, you will gain additional insights into how to use them more strategically and purposefully. In addition (as an extra bonus), you will learn about the Results Curve™, and how it can help you in managing social media and other interrupting technologies such as email and Instant Messaging. This newly revised class will provide you with an overview of how to write a standard project proposal to a foundation. Learn to value your donors by their behavior and not their last gift amount. Tangible examples of behavior based donor relations from other organizations. Real ROI numbers of increased donor retention. This webinar is excellent for any job seekers targeting the fundraising profession. If you are interested in a career in fundraising, are a new grad or sector newbie, or are a fundraising veteran looking to change your current employment situation, you'll want to attend this webinar. An overview of how employers find applicants for fundraising positions. Key insight into what employers are looking for in their fundraising candidates. Tips and strategies to prepare you for a successful fundraising job search. The rise of social media has had a profound impact upon how donors and supporters process messages and calls-to-action online. Content that is text-heavy with few visuals will fail to inspire the online masses and if your NGO is not adept at creating visual content, then you will struggle to communicate your success stories and fundraise online. This webinar will demonstrate how NGOs can tap into the power of visual content on a minimal budget. How to launch fundraising campaigns in visual format. As a grant professional, you should never have to worry about being unprepared for a grant proposal, grant report, or conversation with a grantmaker. In this webinar we will discuss the planning you’ll need to do to make sure you’re ready to take on the world. This session is designed to give you the tools you need to get started right away, and is ideal for grantwriters and fundraising managers. It seems like people are talking about data everywhere. Fundraising data. Board dashboards. Program data. What do you do with the data you've collected is the important question. You likely have data on spreadsheets on your computer or printed at your desk. Maybe you've got analytics from your social media programs. But are you sharing your data in a way that causes people to take action? One of the most powerful ways to build an energetic and helpful team is to create a clear picture to easily see what needs to be done. Lori will show you why using a visual display can turn numbers and lists into interesting, fun, and even dazzling dashboards. You will walk away from the session ready to display your data in new ways that will get your team -- board, staff and other supporters -- eager to take action. Learn the power of unlocking your data by creating a visual display or dashboard. Understand the six common mistakes nonprofits make when designing graphs & dashboards (and what you can do to avoid them!). Identify four nonprofit dashboard categories to use to engage others. See examples of before and after visual displays or dashboards. Create a mini-action plan with your own next steps for creating visual displays or dashboards. 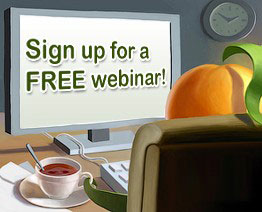 If your organization offers a free webinar that would be of interest to non-profit, membership or volunteer-based organizations and you want to include it in next month's post, please email a brief overview (like those above) to farhad@wildapricot.com no later than August 18.